On November 8th devastation hit a city in the Philippines which I lived and worked in, just seven months prior. 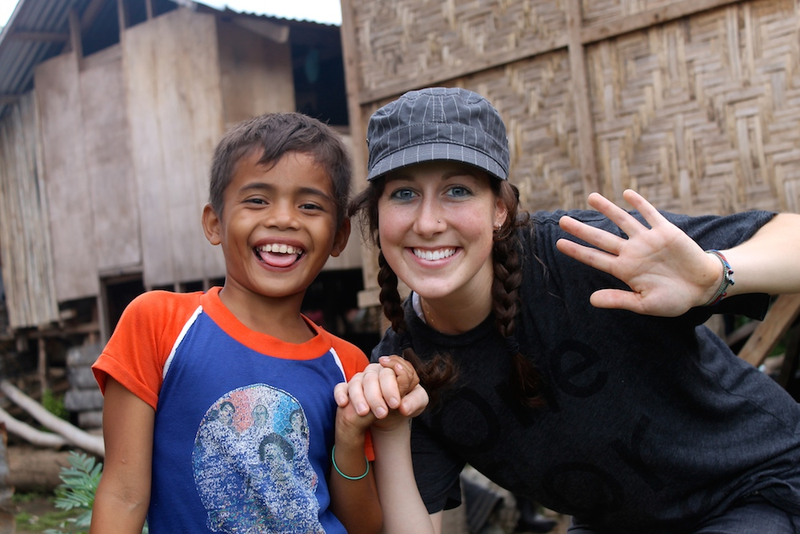 I met my sponsor child there, developed a true family of friends in a completely different culture from what I’d known before, and found an exceptionally important part of my own identity there. 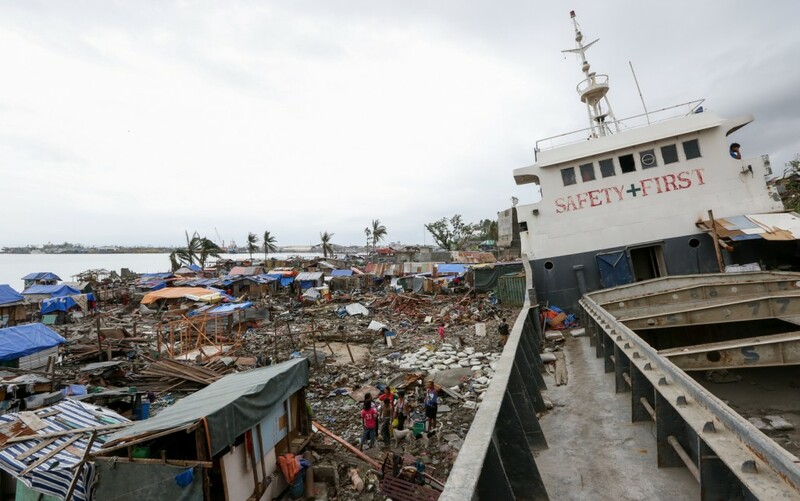 I would carry this new identity with me, buried deep between the vessels and valves of my heart, to the extent that I still get shivers across my body when I recall the realities of what Yolanda did. I’ll note though, that I believe this is a good thing, to remember and to sense an experience so immediately and immensely, despite being so far from it geographically when it actually occurred. I know that I feel so strongly about the topic because of the meaning, which that place and its people have brought to my life. A few days before Yolanda made landfall, my colleagues and I received a warning from our organization’s founder that we needed to be prepared and provide support in all ways that we could. One way was to start a FundMyTravel campaign, as soon as possible. I had the honor to manage the campaign, but I have to acknowledge first and foremost, that it was only a success because of multiple people playing their own parts in sharing and supporting the project. Being well informed about fundraising and crowd-funding in general, having done my research and having had some previous experience, I knew that a video for the campaign would be an essential first step. I put together the video clips that I had, with some informational captions and a favorite song. My video making and editing skills were limited at this point, but I knew that campaigns with videos were twice as likely to reach or exceed their goals. In addition, the Internet and social media are geared toward image and video messaging, so people want to click and understand content quickly, and that’s what the video would allow us to achieve. We could just write out the mission of the campaign, but for many who might be skimming the Internet on their phones, a video would convey the message faster and more personally than paragraphs of writing. Victoria with her sponsor child. Inform at a mass level, but invite at a personal level. If you want to convey to people that your message is an important one and one they should devote their time to read and their funds to support, then it’s reasonably expected that you should invest the time and effort to reach out to your audience in a personal fashion as well. It’s important to spread awareness and build interest by sending the message far and wide, but if you want real results, you need to figure out how to make the mission meaningful for the people you’re addressing, not just explain why it is meaningful to you. These are all lessons I might have learned from previous fundraising efforts, but they all proved even truer when fundraising through an online platform. Using FundMyTravel allowed us to communicate the status and needs of our friends in the Philippines, in a fast and effective way. Added to that, the campaign was able to exceed our initial goal by thousands of dollars, because we implemented offline outreach as well. Stay tuned for part two of this feature next week! Victoria Mita graduated from Loyola University in Maryland. She spent her first academic experience abroad in Lyon, France, for which she fundraised by raking leaves, with classmates. She has valued the mission of international education ever since this first exchange. Victoria considers herself most fortunate to spend two life-affirming years working with the teams at GoAbroad.com and FundMyTravel.com. Victoria studied abroad at Monash University in Australia, worked with the Australian Trade Commission’s Education team in the U.S. and has now come full circle, working as an International Programs Representative for CISaustralia, in Melbourne, Australia. Connect with her on Twitter at FlamingoPoppins. Thanks Victoria for all of your help, you are an angel!